It is the season of Japanese White Peaches. So glad that I had a chance to enjoy a white peach from Japan, which is known as the best among all peaches. 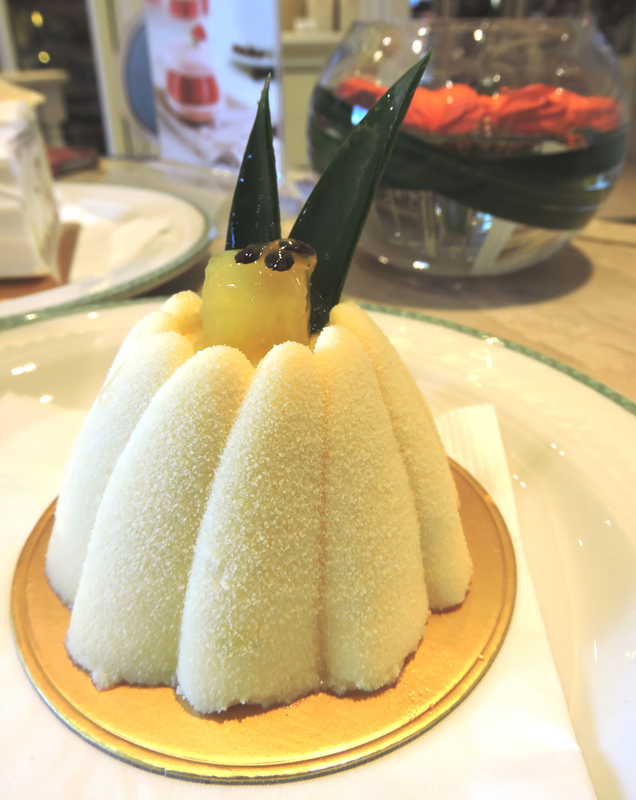 Fine Foods of the Royal Garden always establishes some seasonal cakes/pastries, and they bring back the white peaches again this year. 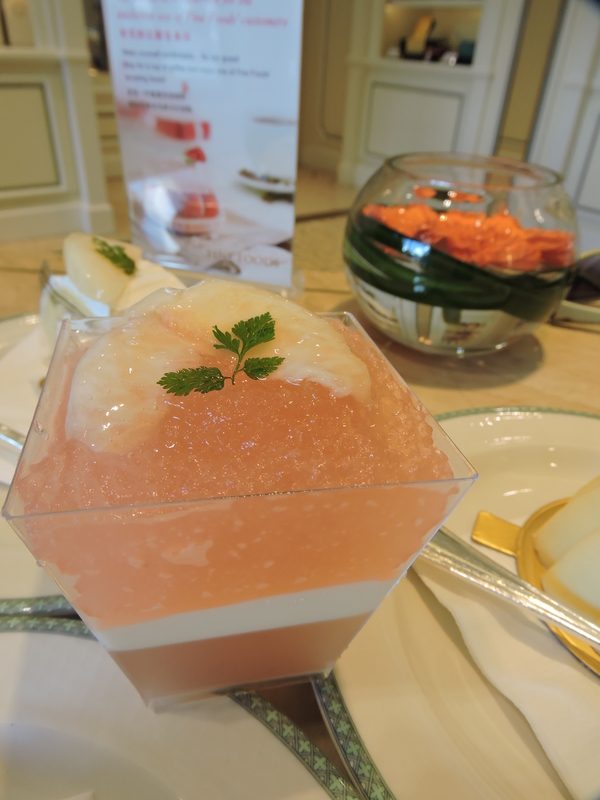 White Peach Jelly with Yamanashi Agata white peach is the best item of the selection. The slices of the peach on top of the cake were so sweet. Panna Cotta in the middle of the jelly is tasted just perfectly sweet without taking the sweetness of the peach. Would love to try this again! 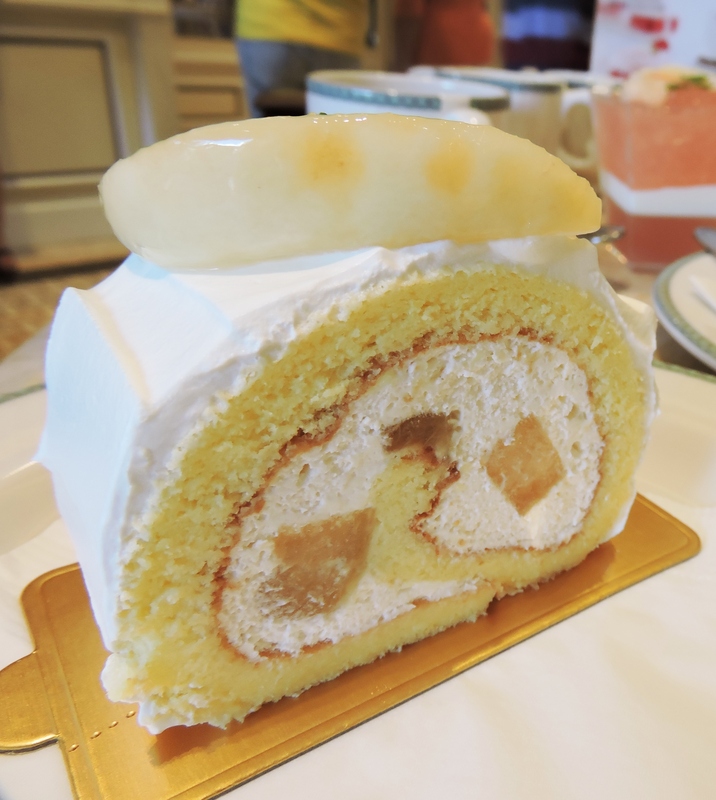 White peach swiss rool is also one of the items of the selection. The sweetness of the peach and the light-weighted texture of the roll work perfectly. 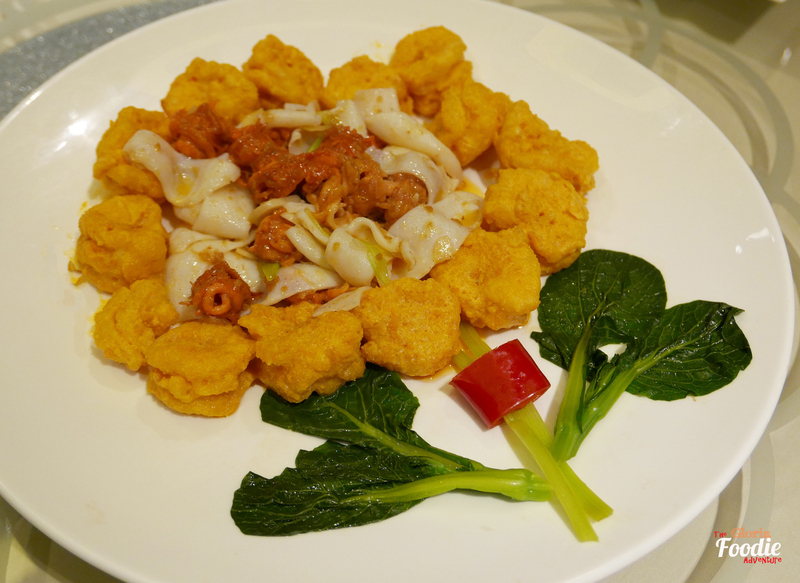 Apart from the Japanese Seasonal Fruit collection, we also ordered Exotic Delight with full summer characteristic. It contains passion fruit filling, mange filling and chocolate sponge cake. The passion fruit filling tasted so sour at the first bite but also refreshing. The lovely peaches draw everyone’s attention to the Japanese Seasonal Fruit collection. 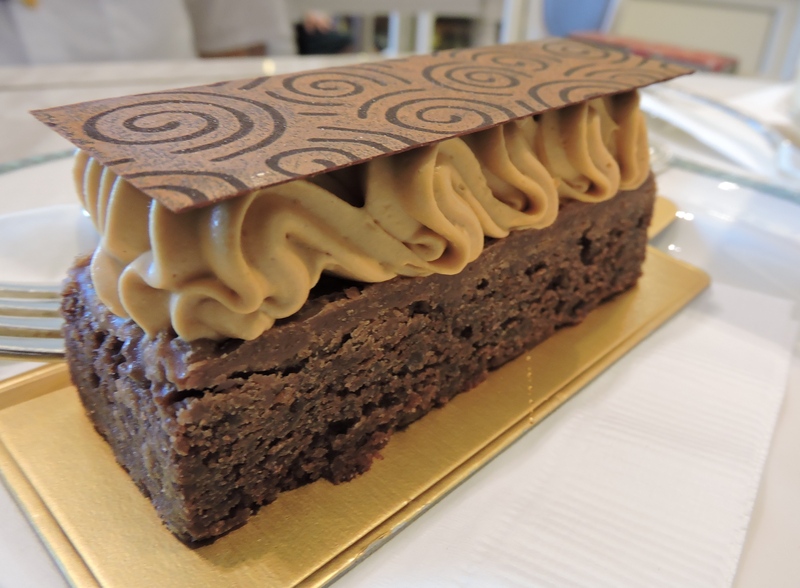 With beloved friends’ company, we tried a traditional cake , which is a combination of coffee mousse and chocolate brownie. 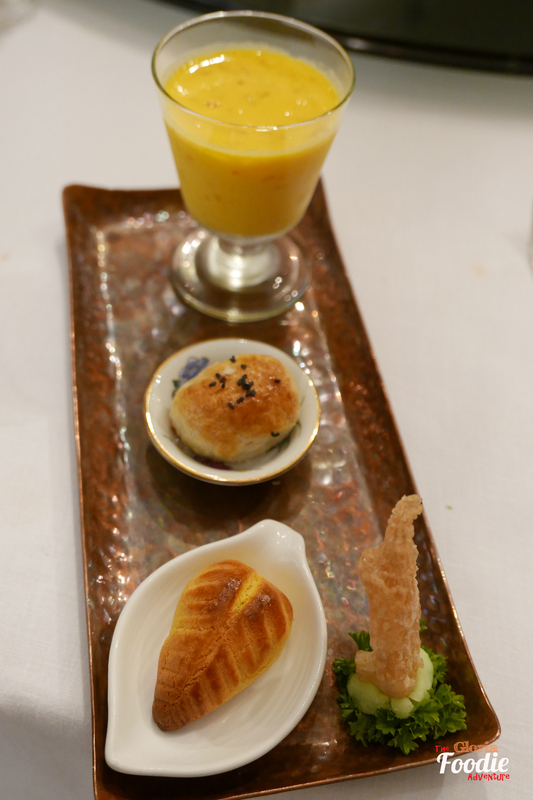 The two different textures bring your dining experience to another level. Try to get a table at Fine Foods at weekends to enjoy a piece of cake/dessert with a nice cup of coffee. That’s what we call “a relaxing weekend”.